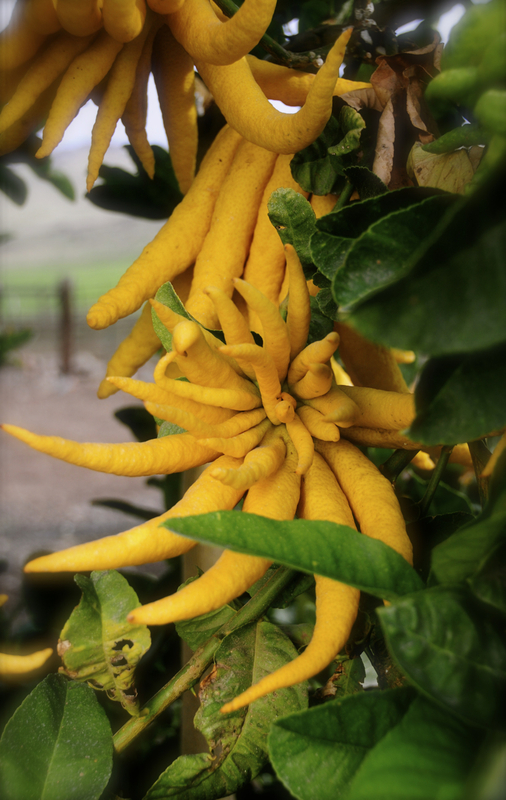 We pick many of the botanicals ourselves, including organic buddha’s hand fruit and leaf from Tenalu Farms. Also, find a more healthy and tasty pear than one which grew up on Mt. Hood Organic Farm, we dare you. They are the only bio-dynamic pear orchard in Oregon, and they are a pleasure to work with. The layers of flavor start with pear, citrus of many kinds (pink variegated lemon and finger lime predominately), and amchoor (dried young mango). Secondary hits are celery seed funk, mace, ajwain seed, salinity from Piran sel gris from Bitterman Salt Co, tropical hop notes, and bitterness from ashwagandha. The backbone comes in the form of fresh turmeric, ginger, cubeb pepper, fenugreek, holy basil, and green cardamom. To stabilize these botanicals we distill Magnolia Brewing’s “Proving Ground IPA”, which allows us to start with dense flavor even before we add the 30+ thematically appropriate plants. The resulting hoppy whiskey is very pungent and actually tastes of turmeric and citrus already. To make it more palatable we cut it with our rye and some organic cane spirit which, as always, we make from scratch and do not purchase from the pharmaceutical industry as is most common. No added water or colors or chemicals. "This isn’t your run of the mill bitters that focus on one or two flavours; they’ve managed to combine elements and spices from many different regions of the world and come up with a product that is at both times very Mediterranean and distinctively Asian in its flavour profile. Nothing overwhelms you and even the ingredients that tend to hijack flavour profiles like cardamom and ginger find their place and play nice with their contemporaries."